Direct mail never died. It just needed an upgrade. Even some of the smartest moguls alive take for granted a truth that is just plain wrong: Direct mail is dead. No, we’re not making this up: Sending physical mail to prospects and customers can actually work — and pay off big-time. While digital hogs the headlines, direct mail has made a quiet comeback, representing a huge opportunity for the businesses that do it right. Don’t take our word for it, though. Real businesses are benefitting from direct mail. One real estate agent makes $5,000 to $20,000 in commissions every time she runs a direct mail campaign. A Texas dentist added six figures in new revenue thanks to one mailing. And a financial services firm spent a few thousand dollars to net dozens of new clients with an average value of $1,500 each. 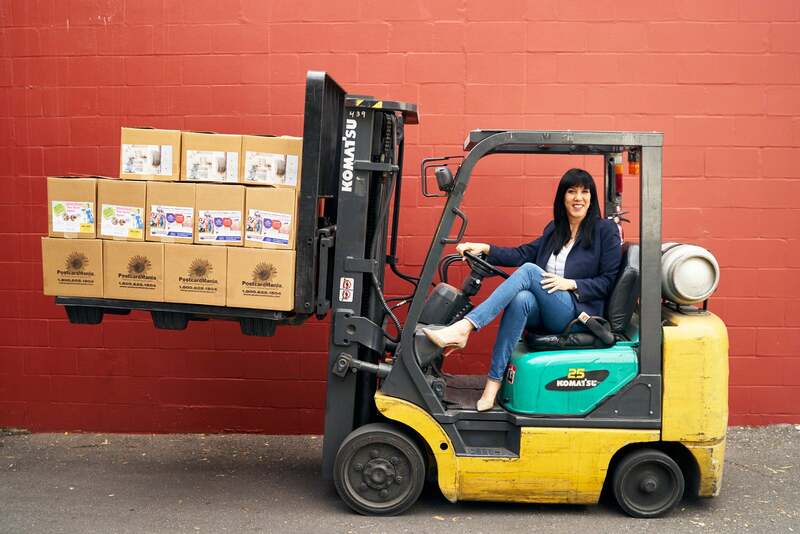 This kind of success is typical for Joy Gendusa, founder of PostcardMania, a company that does nearly $50 million per year selling incredibly successful direct mail campaigns to thousands of small businesses. 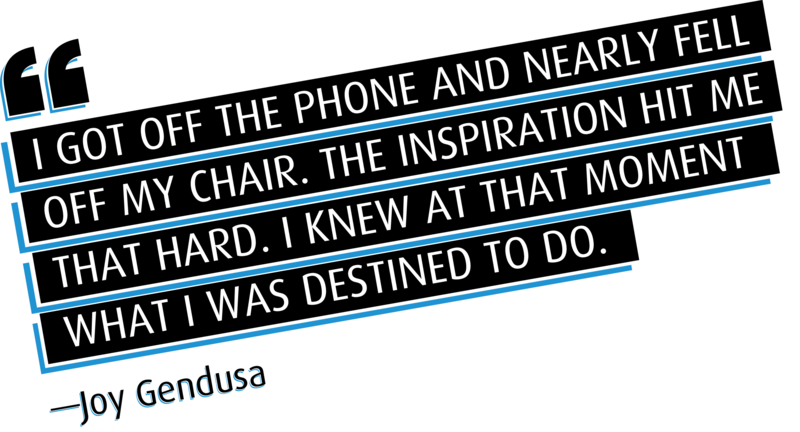 Given her stunning success, we had to sit down with Gendusa to find out how to do direct mail right. Born from a customer service experience from hell. Gendusa started out small enough. She ran a graphic design business and tried to keep up with the market. “I started making more money brokering printing services than selling actual graphic designs,” Gendusa says. Gendusa had two toddlers while working 70-hour weeks. The business was making some money, but nothing life-changing given the time she was investing. Even then, she still didn’t think about starting a large venture. That only happened when she had a customer service experience from hell. She designed a postcard to promote her business and FedEx’d the art off to be made into postcards. When she got the proof back, it had the postcard company’s own phone number on the bottom in tiny five-point font. “They told me I had to pay $50 to remove their branding on my postcard,” Gendusa says. She dodged the charge, but was furious about the bait-and-switch. “I decided to start PostcardMania and that we’d sell direct to business owners. Nobody was doing that.” And a new industry was born. That was in 1998, and Gendusa hasn’t looked back since. Why direct mail and why now? It’s 2017 and someone is making tens of millions of dollars mailing postcards. How is this even possible? According to UnitedMail, 79 percent of people act on direct mail immediately; only 45 percent do the same for email. More than two-thirds of consumers open all of their mail, even easily recognizable junk. If you think this only applies to your grandparents, think again. According to the U.S. Postal Service, 36 percent of people under the age of 30 look forward to checking their mail. Thirty-seven percent of the coveted 25- to 35-year-old demographic immediately read their mail. Gendusa’s numbers validate direct mail’s appeal. Her company made $45.7 million in 2015 almost exclusively by sending 135 million postcards that sell products and services for more than 13,000 customers. 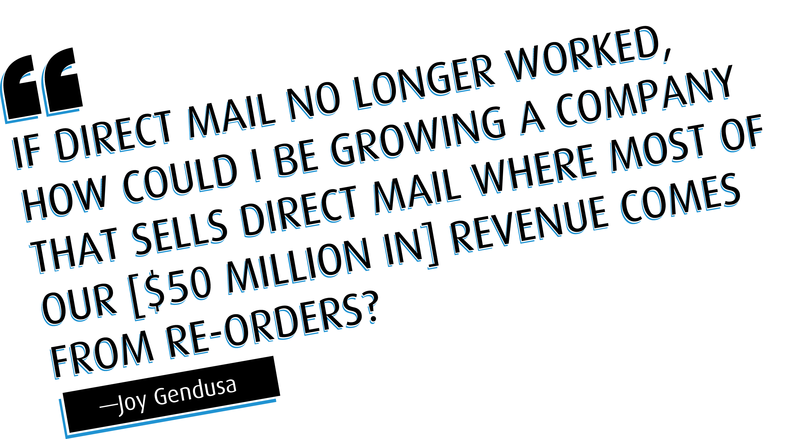 Gendusa’s enthusiasm for direct mail doesn’t mean she shuns digital. Her postcards marry the best of both worlds. Her company’s mailings are optimized for conversion through strategic design and innovative tracking codes that provide levels of delivery precision. Gendusa and her team understand these challenges because they’re marketers first. In addition to selling postcards, the company makes it dead simple for clients to convert postcard traffic by building landing pages and Wordpress sites that non-programmer clients can then customize. Welcome to the modern mail campaign. Modern direct mail campaigns are well-oiled machines that marry the best of direct and digital marketing. On one hand, the cards have crisp calls to action on their physical surface; on the other, the actions that the consumer takes are tracked and enhanced using online technologies like retargeting. Here’s how it works. PostcardMania crafts clear, eye-catching copy on the postcard design for, say, a dance school client. The copy offers a free day of dance to local moms in the hopes of bringing in new students. Then, the card continues with carefully defined bullet points that speak to the dance school’s benefits on the back. These include items like “teaches discipline” and “fun and entertaining.” The card is sent to a highly targeted list of mothers with an annual income over $100,000 and daughters ages five to 12. PostcardMania’s website touts a number of case studies in dozens of industries where customers generate considerable revenue with a single direct mail campaign. Because of that, the business has grown over the last 18 years to employ more than 200 full-time staff and generate nearly $50 million in annual revenue, all while touting a culture more at home in Silicon Valley than its Tampa Bay, Fla., location. And there will be millions to go around if her bet on software and subscriptions pays off. To capitalize on her success, Gendusa started a software startup, DirectMail2.0, that offers a white label version of PostcardMania’s software to other printing and mailing companies. More than 50 partners have already bought in and the DirectMail2.0 product produced $1 million for PostcardMania the first year it launched. It has more than doubled in revenue since. Gendusa’s also spearheading the postcard-as-a-service model. Her product “New In Town” is a follow-up system that mails an area’s new residents each month on behalf of PostcardMania’s customers, fully automatically. These introductory postcards are critical for local businesses: They introduce the business to new residents and lock in long-term customers by offering one-time promotions. These successes have PostcardMania set to crack $100 million in the next 24 months, proving one simple truth: Anyone who says direct mail is dead should check the casket, because it represents a huge opportunity for the businesses that do it right. Six steps to the perfect postcard marketing campaign. There is art and science to postcard marketing. Gendusa shared with us what business owners and entrepreneurs must do to create campaigns that boost visibility and sales, based on the strategies she used to make millions off direct mail. 1. Get the right list. Postcard campaigns live and die by the quality of their mailing list. Gendusa suggests isolating a list of only your target market — even if you have fewer people on it. 2. Actually design with your audience in mind. Gendusa says that direct mail marketers make the same serious mistake over and over again: They assume their audience understands the terminology of their industry. “Financial advisors do this all the time,” she says. “Nobody knows what they mean and they don’t get responses.” And it happens in every industry. 3. Communicate what problem you solve — immediately. Too many business owners waste postcard space with unnecessary copy that no one ends up reading. Instead, they need to immediately communicate what problem the business solves in the headline (not buried in the body copy). 4. Don’t get cute with your images. The image used on the postcard should be “instantly recognizable,” Gendusa says. Too many business owners and entrepreneurs try to get cute or creative, and end up confusing their audience. You have seconds to communicate a value proposition and reinforce it with an image. If you fail, consumers won’t keep reading. More importantly, they won’t act. 5. Don’t neglect the back of the card. It’s just as important as the front. Once the reader turns over the card, you’ll want a sub-headline that transitions into text or bulleted items with the benefits of your product or service. Keep them simple, Gendusa says. People won’t read a bunch of text. 6. Create an authoritative call-to-action. “People enjoy being told what to do instead of just being given a phone number,” says Gendusa. The last item on the card you want them to see is a clear call-to-action that gives the reader directions: go to the site, download an offer or pick up the phone and call today. It helps that Gendusa never loses sight of the mission behind even a simple postcard.